We believe everyone living with a terminal illness should be able to get the most from the time they have left, however hard that may sometimes feel. Our nurses, hospices and trained volunteers and advisers will be here for you and your family when you may feel like no-one else is, to help you cope when you don’t know how. 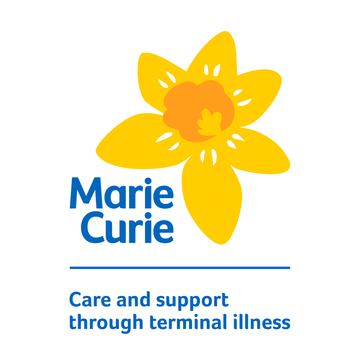 In February 2019, Marie Curie and the Royal College of GPs launched the Daffodil Standards, a new way to help GP practices across the UK improve support for people living with a terminal illness, and their loved ones. The Daffodil Standards is a free, evidence-based, set of quality improvement standards for GPs, to help them and their practice assess and improve the care General Practice provide to people with advanced serious illness and those at the end of life. Developed over the last two years in consultation with GPs, the Daffodil Standards are self-assessed and each Daffodil Standard includes practical step-by-step guidance and support resources. Practices who adopt the Daffodil Standards will be able to display the ‘daffodil mark’, highlighting their commitment to excellent end of life care, and support for people with advanced serious illness, and those important to them. The Standards are recognised by key organisations, such as NHS England, the Care Quality Commission, the British Medical Association, and many others professional groups and charities, who have also been consulted during their development. "The Daffodil Standards provide a wonderful opportunity for patients and families to take the lead in understanding the support available to them, having open conversations and making decisions about their care" says Dr Catherine Millington-Sanders, RCGP & Marie Curie National Clinical End of Life Care Champion. "Life is short, and better support in this area for patients means they can focus on enjoying the life they have left, rather than worrying about how to get the care and support they need." Many dying people have to spend time wading through red tape to get the welfare benefits they need. This means things like form filling, attending interviews with benefits advisors and even going to coaching sessions to get them back to work. They can only get quick and easy access to financial support if a doctor or nurse says they have less than six months to live. 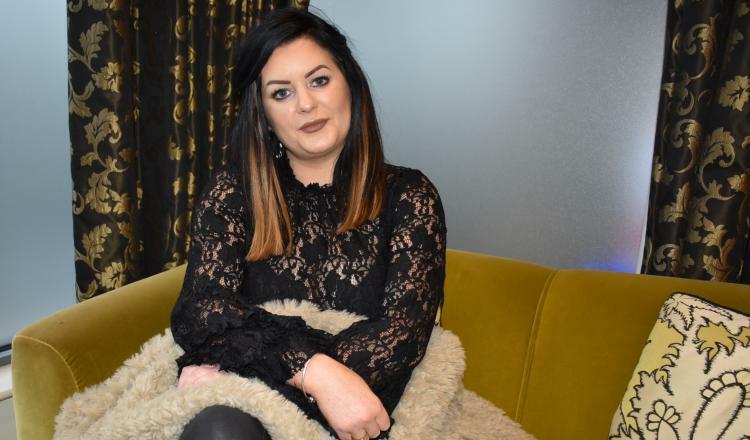 Lorraine Cox, 39, from Derrylin in Enniskillen, was diagnosed with motor neurone disease (MND) last summer. She applied for Personal Independence Payments to help with the impact of the disease on her day-to-day life and, to her shock, was declined. "I’m a very determined person and I’m not going to give up. It has become a matter of principle even above the money. I shouldn’t have to spend my time fighting for support, it’s exhausting," said Lorraine. "I felt I had to speak out about my situation as I don’t want others to have to face the same struggles at such a difficult time." Making people jump through hoops when they’re living with a terminal illness is not right, and it’s really insensitive. Dying people shouldn’t have to waste time worrying about getting the support they need. 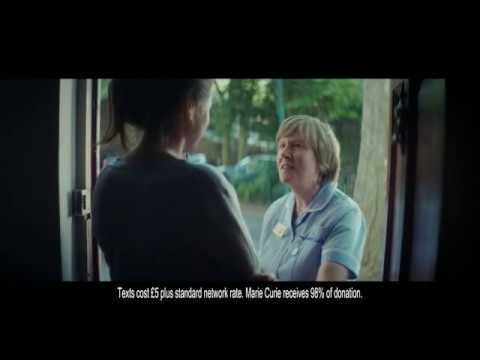 Marie Curie and the Motor Neurone Disease (MND) Association are calling for a change to the law. The change would give everyone with a terminal illness quick and easy access to the benefits they need. Sign the petition at: https://www.mariecurie.org.uk/policy/campaigns/scrapsixmonths. For the latest news on the campaign, follow #Scrap6Months on Twitter. The Marie Curie Palliative Care Research Department at University College London, and the Cicely Saunders Institute of Palliative Care, Policy and Rehabilitation at Kings College London, have been awarded £3.7m for the project. It is the largest ever research grant given to improve palliative and end-of-life care for people with dementia. 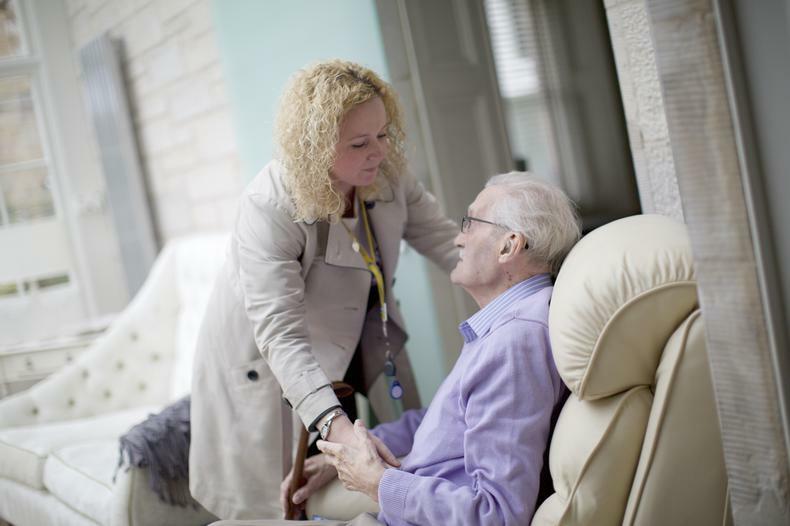 Those behind the Empowering Better End of Life Dementia Care Programme (EMBED-Care) say there has never been a more important time to embark on such a scheme, as dementia is now the most common cause of death in the UK. By 2040, 220,000 people will die with dementia each year. The team will follow people with advanced dementia and their carers for nine months to find out their experiences of services and what really matters to them. The study will involve “neglected groups”, such as those with young onset and rapidly progressive dementias. The information will be used to develop new ways of supporting patients to enable them to maintain the best possible quality of life without unnecessary pain or suffering right until their death – whether they are at home, in hospital or in a care home. Dr Catherine Evans, clinical academic in palliative care at the Cicely Saunders Institute, Faculty of Nursing, Midwifery and Palliative Care, King’s College London, said: “The work will transform the provision of palliative dementia care for people today and in the future." Every day of your life matters – from the first to the last. We believe everyone living with a terminal illness should be able to get the most from the time they have left, however hard that may sometimes feel. We’ve been around as long as the NHS. And over the last 70 years, we’ve been there for hundreds of thousands of families. We’ll be here for you and your family when you may feel like no-one else is, to help you cope when you don’t know how. 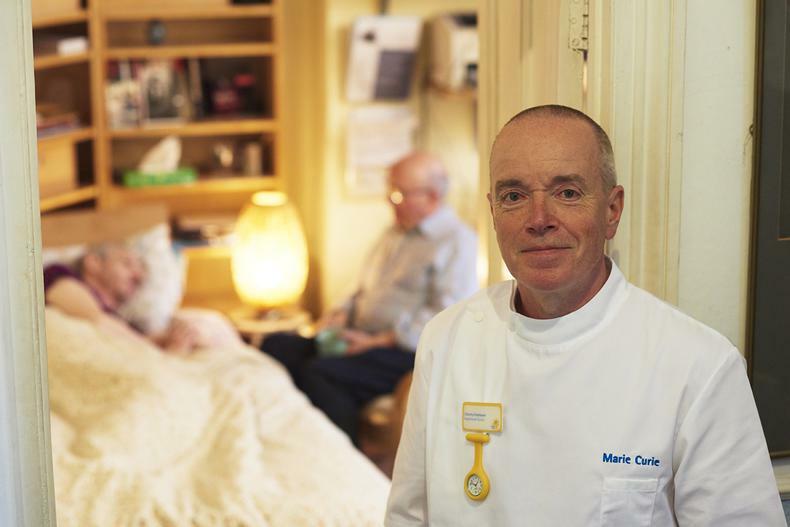 Marie Curie Nurses care for you in your home, when you need them most, day or night. 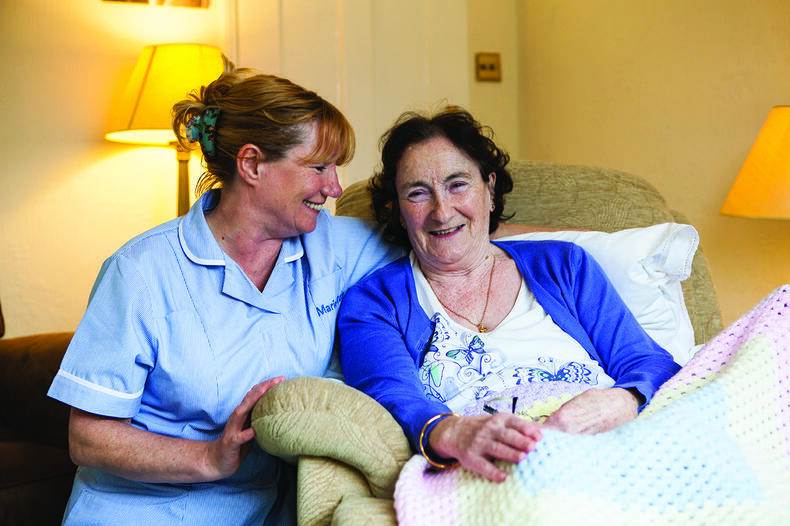 Our hospices are at the heart of communities around the UK, offering specialist round-the-clock care. And our trained volunteers and advisers are here for you with practical information and support when you don’t know what to do next or just need to talk. We’ll be by your side with care and support every step of the way, bringing light in the darkest hours. But our ageing population means more and more people are living with a terminal illness, often with more complex needs. Most families in the UK will find themselves grappling with these issues in the coming years. Even now, one in four people doesn’t get the care and support they need at the end of their life. We don’t think that’s good enough. We don’t think anyone should have to face the most difficult time in their lives by themselves. So we’re determined to do more, for more of the people who need us, than we ever have before. 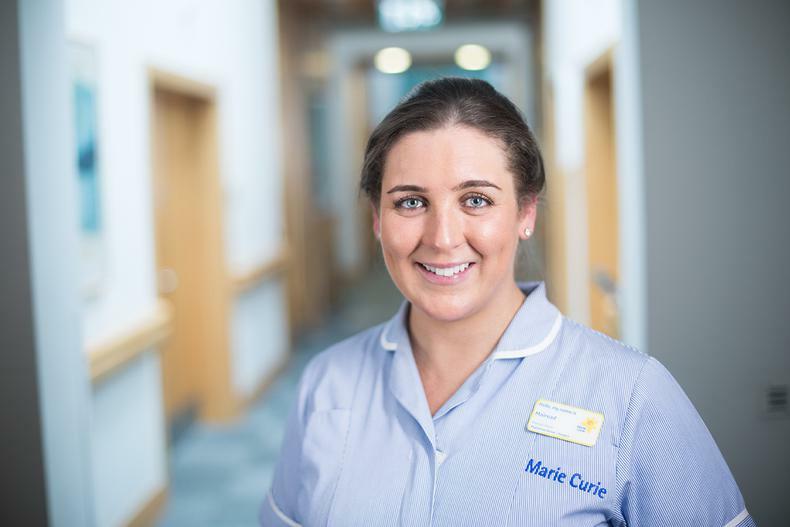 We urgently need support to make that possible – just £20 will pay for an hour of care from a Marie Curie Nurse. Because every day matters when you’re living with a terminal illness.